Maserati, the luxurious auto maker, released two exciting trims in 2009-2010 — Maserati Quattroporte and Maserati GranTurismo, which are the revised versions of earlier Maseratis. Both the trims have a grandeur appearance and more advanced features than its earlier versions. The Maserati Quattroporte and Maserati GranTurismo have a long pointed hood, arching fenders, high belt line, low front overhangs, and a prominent grille. All this have only added the grandeur of both the Maserati trims. Just like the exterior, the interior also comes up with all luxury. Leather and wood is what makes the inside. While four persons can travel in Maserati GranTurismo, five persons can luxuriously sit in the Maserati Quattroporte. The Maserati GranTurismo MC Stradale is just a better version of the regular GranTurismo. This new version has more power, suspension is 8% stiffer, and the car rides slightly lower than the GranTurismo. The MC Stradale also receives a new front splitter and rear air dam for better aerodynamics, downforce, and improved cooling of carbon ceramic brakes and engine. The MC Stradale is just a gorgeous car. 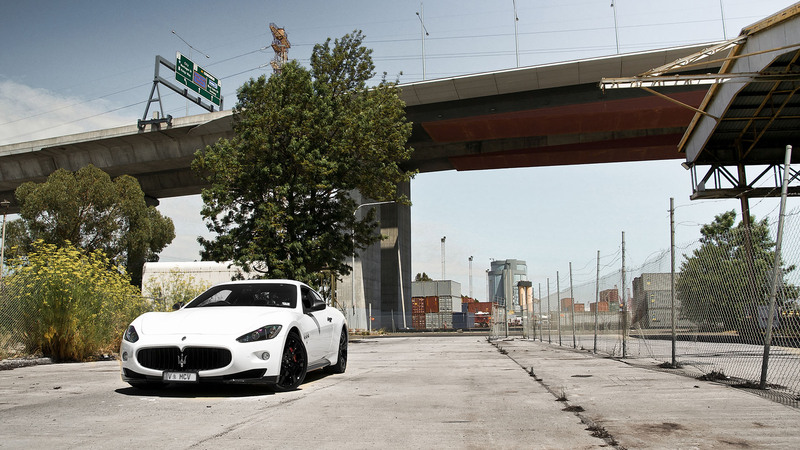 Just take a good look at that stunning looking white Maserati GranTurismo MC Stradale in the picture above. The car looks simply great. It’s an expensive car, though.